This is curve tracer adapter which you have to connect to your oscilloscope in x-y mode, it can help to improve your oscilloscope to generate IV curve, like a real curve tracer, you can measure the resister, capacitor, diode, zener diode, LED, junction of transistor. - Power on by 110V or 220VAC, NOTE : please specific your AC line when you make the payment. - Freq. 50Hz or 60Hz depending on your AC line. - Comes with the schematic diagram for your trouble shooting / repairing. Note : This units doesn't include the BNC to BNC cable. 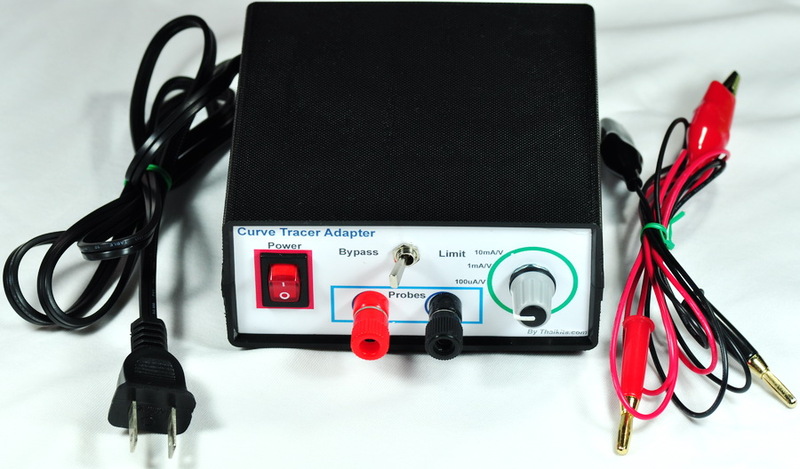 To connect between X-Y channels of curve tracer adapter to your oscilloscope. Recommend to find in Ebay or local source in your country.